Play Pool online for free now! A table, a cue and balls, at least two opponents, and incredible tricks to pot the balls! Pool always gets people excited – whether you play online, with friends down at the pub or in a tournament! The game Pool is played in different variants. Snooker, for example, is very popular; in this game you have to pot the balls with superb skills and in accordance with particular table rules. The best part is that on GameTwist you can enjoy Pool and Snooker online and in top quality by facing other players of our community. Look forward to the action-packed game Deluxe Pool, which is played with coloured balls and gives you an opportunity to show your skills. That’s how playing Pool online should be! Before you get started playing Pool at a table of your choice you can find out the most important facts about Pool and Snooker here. Pool and Snooker – how do these games work online? In Pool, two people or teams face each other. With cues and a white ball, they try to pot all of the coloured balls into pockets at the edge of the table. The point game Snooker is about potting a red ball (15 in total) and one of six differently coloured balls in turns. This is how the game is played until only the white and black ball are left on the table or the points difference of the players is more than seven. Snooker is very well known as a tournament game. 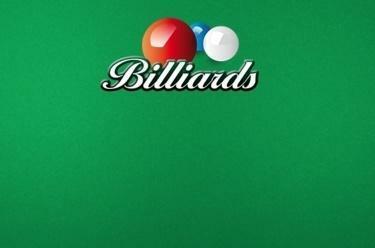 Pool and Snooker online on GameTwist – three different Billiard games for you to enjoy! It doesn’t matter whether you prefer playing classic Pool or you want to be a true Snooker champion: on GameTwist we cater for all kinds of cue-sport fans who want to feel like competing in a top tournament! This classic version of Pool is played with 16 balls: Seven stripes, seven spots, one white and one black ball. The aim of the game is to pot all balls of your colour (spots or stripes) as quickly as possible and win by potting the black 8 ball. A must for genuine Pool enthusiasts! 9-Ball Pool is played with ten balls: one white ball (cue ball) and nine coloured balls that are numbered consecutively from 1 to 9. The aim of the game is to sink the coloured balls sequentially, starting with the 1 ball. The thrilling countdown runs from 1 to 9 until the end of this fast-paced game. The tables could turn with every shot. Regardless of who has sunk how many balls, the player who finally pockets the number 9 ball is the winner of this classic game. The game Snooker is played with 22 balls that not only have different colours, but also score a different number of points. There are 15 red (1 point each), 6 coloured (yellow = 2 points, green = 3 points, brown = 4 points, blue = 5 points, pink = 6 points, and black = 7 points) and one white ball (cue ball). Any red ball can be played for each Snooker shot. If you sink it without a foul, a coloured ball must then be nominated. Sink the nominated ball and the points will be added to your running score. You can then play another red. Once a foul is committed at the table, it is your opponent’s turn. The aim of Snooker is to collect as many points as possible for pocketed balls. It’s becoming increasingly obvious: Snooker is a great game that requires plenty of practice to get really good at! Online Pool on GameTwist – a real gaming treat for Pool enthusiasts! Would you like to start your free game now to raise your Pool game to the next level, or would you rather put on a great performance at the Snooker table? Then get the balls rolling now! This is how it works: simply register on GameTwist or log in to enjoy superb Pool games. For free! If you run out of Twists, you can top up in our shop. Have fun with one of our Pool games, and hopefully you’ll pocket some great winnings. Who knows, maybe you’ll show your skills in countless tournaments at the Pool table and be crowned the ultimate player and Pool champion!